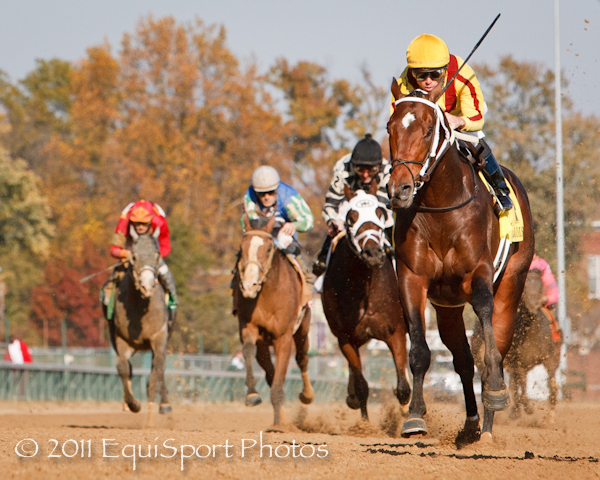 STEVE ASMUSSEN likes the dirt. Prompted by the switch back to a conventional dirt racing surface, Asmussen brought a string of promising youngsters to train for the winter at Santa Anita Park for the first time. TAPIZAR (Tapit), lived up to his billing for Asmussen as a Derby contender, by dusting the field in the Sham Stakes (G3), January 15th at Santa Anita. The colt set blazing fractions, in his gate to wire romp, :22 3/5, :45 1/5 and 1:08 4/5 for the first 6 furlongs. He drew away from the field in the stretch to win by 4 lengths, posting a 1:40 1/5 for the mile and sixteenth. 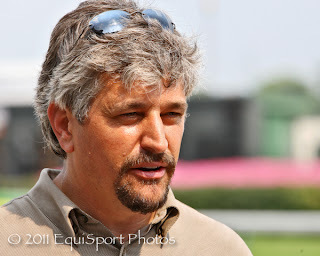 Asmussen confessed afterwards, "I was very concerned when they put up the (fractional) times, but honestly, if I wouldn't have looked up at the board, I wouldn't have been. I thought he was away from the gate very kindly. I watched the break; he broke on his feet but he wasn't being extremely aggressive." "I think the race track's just yielding extremely fast times", the trainer went on to say. "His work the other morning indicated how sharp he was right now, that :47 and change (:47 1/5 for a half-mile on Thursday). We want him to be handy, and I think now, keeping him healthy, if he can go far enough, and keep improving with the distances, are the questions we have." "The horse gives us a lot of confidence in that he can do more. 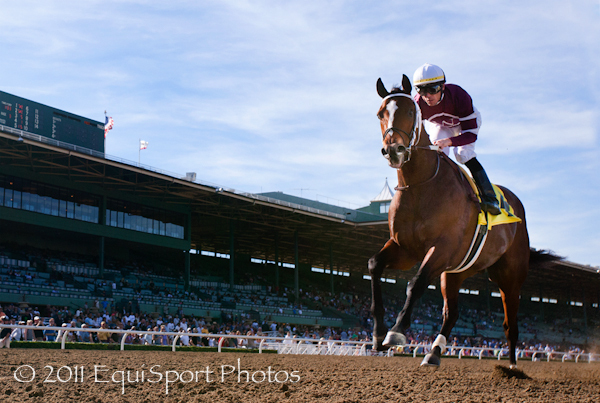 He's talented, but there's a lot of kid to him, a lot of playfulness in him", Asmussen concluded. 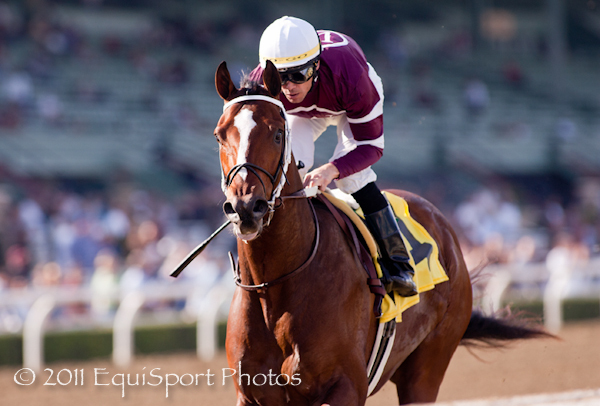 ASTROLOGY, the promising AP Indy colt, is another Asmussen charge who has been training well at Santa Anita. After an impressive win in the Iroquois, he finished a game second to Santiva in the Kentucky Jockey Club S.
The new dirt seems to be good so far for Steve Asmussen, he and assistant Scott Blasi have a string of 30 at Santa Anita. My guess is that the road to Louisville winds through the hills of Southern California for this stable. Here's the rest of "The Derby Word" for January 16th, 2011.